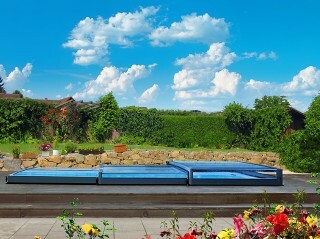 TERRA is the lowest pool enclosure from Pool and Spa product range that almost copies the ground level. 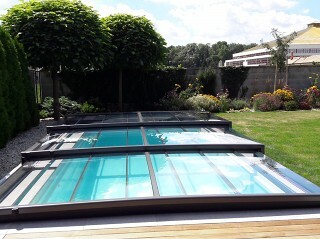 In closed position it lets you enjoy full view over your garden and swimming pool. 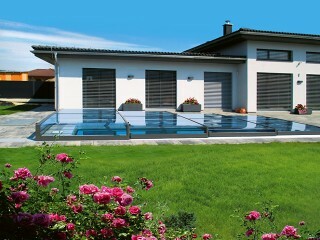 While opened the pool enclosure is decent, not space demanding enclosure that suits modern home architecture. 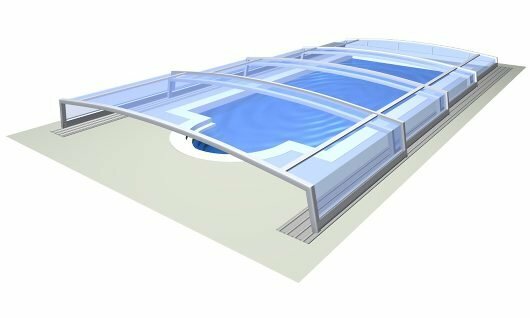 Those who look for almost invisible enclosure yet want to have visible pool enclosure benefits such as protection of water against debris, water temperature regulation and protection against unwilling fall into pool will appreciate this pool enclosure. 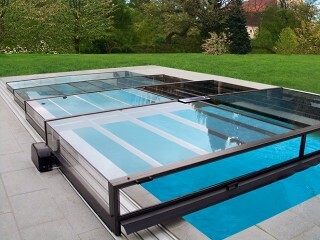 One rail system of pool enclosure Terra grants access without barriers from three sides of swimming pool, is space-savvy and easy to maintain. 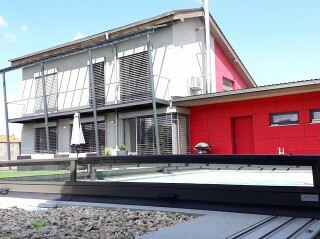 It is very easy to open or close the enclosure - even with one rail. 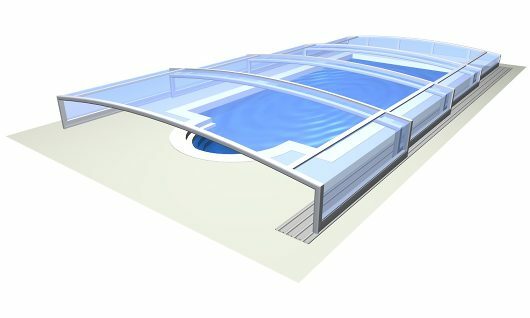 It is a standard for all Pool and Spa pool enclosures - highest safety, custom made enclosure for every pool. 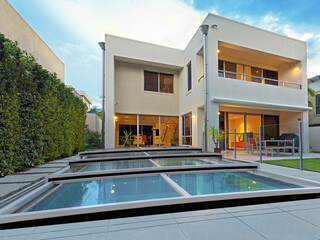 The same you can expect from Terra.